Manchester United moved into fourth position and a Champions League place with a comprehensive 3-0 thrashing of Fulham at Craven Cottage this afternoon. Victory moves us one point above Chelsea who do not play until Sunday when they travel to Manchester City. 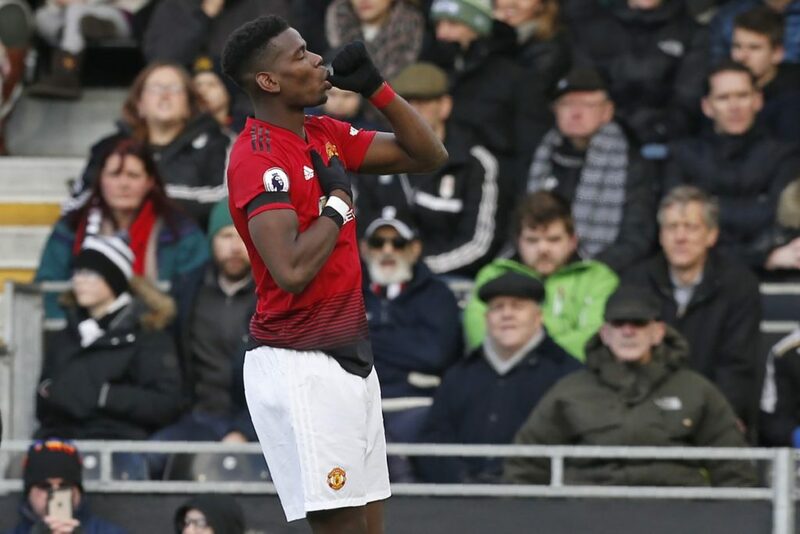 Paul Pogba opened the scoring in West London this afternoon with a powerful first-time effort that caught Fulham goalkeeper Sergio Rico out at his near post. Fellow France international Anthony Martial had provided the assist for our opener and scored the second himself nine minutes later with a fine solo run and finish. The only problems Fulham caused came in the opening six minutes in a dreadful performance from Claudio Ranieri’s side. Former defender-turned-holding midfielder Calum Chambers had their most efforts on goal. Paul Pogba wrapped up his man of the match performance by converting a penalty midway through the second half after Juan Mata was tripped inside the penalty area.